Goins sworn in as chief of NBPD – . 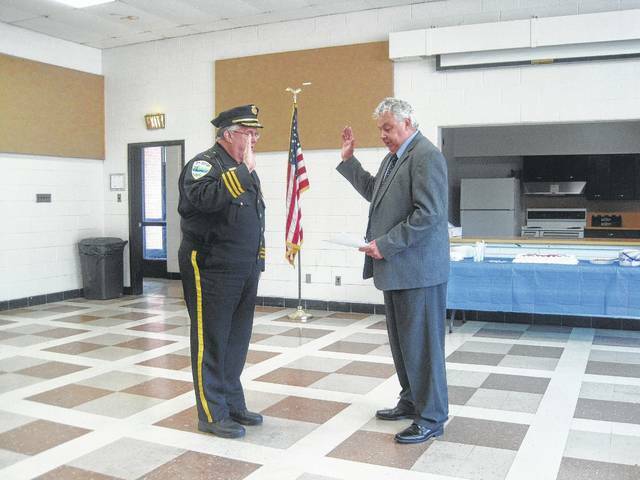 Long-time law enforcement officer Steve Goins is now officially the Chief of Police for the Village of New Boston, replacing Darrold Clark who recently retired. Wednesday at the stroke of noon, Goins was sworn in by New Boston Mayor William “Junior” Williams at the New Boston Community Building. Clark was on hand for support and told the Daily Times retirement is working well for him. “I feel good not getting up in the morning, but I miss everybody especially when I need something done. There’s nobody around but me,” Clark said. Clark was complimentary of his former captain. Goins, who has been in law enforcement for 34 years, over 30 with the New Boston Police Department, was reflective of the occasion. Goins said it is likely someone on the force will be promoted to fill his position as captain. With the current drug problem in Scioto County, Goins said he will hit the ground running. Those in attendance, including former chiefs Clark and Gary Stone, enjoyed cake and ice cream and took the time to shake Goins’ hand. 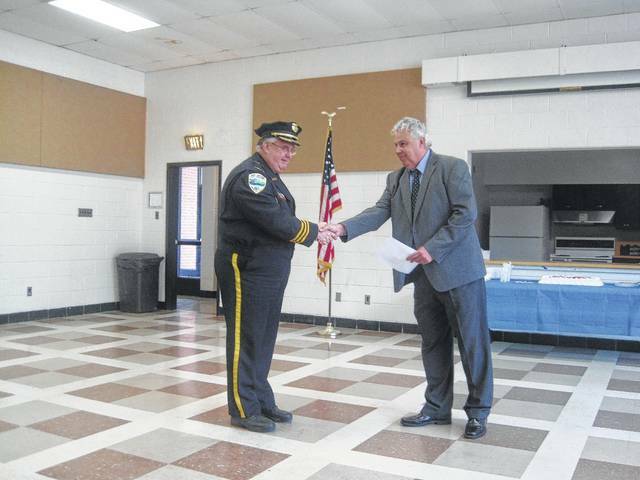 “I think the people of New Boston are very lucky to have him as a police chief,” Williams said.